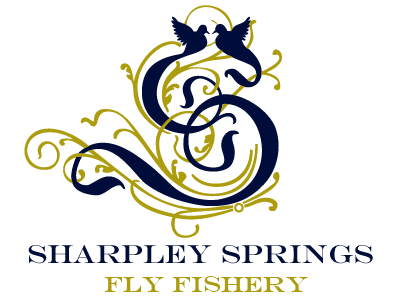 Sharpley had 10 people fly fishing on Xmas Day on Complementary fishing tickets. 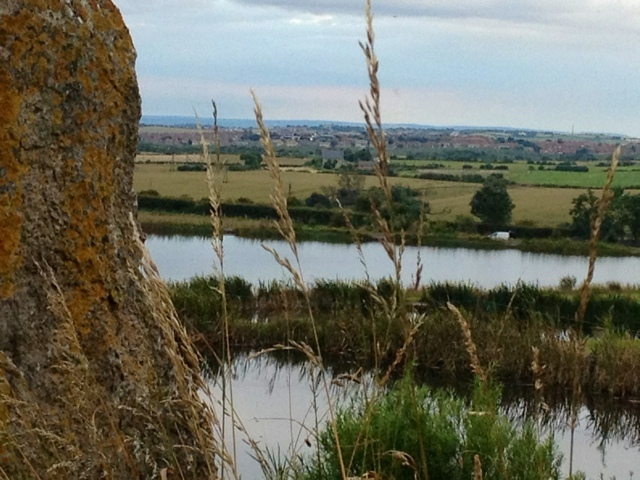 Sharpley was one of very few fishing venues to open in the North East. We extended this Complementary Offer to the Golf this Year that saw Anglers and Golfers enjoy a relaxed morning at the Sharpley Outdoor Venue before tucking into the 'Turkey'. Breezy,dull, but comparatively mild conditions have kept activity at,or near,the surface. Angler satisfaction has been correspondingly high as rising fish maintained interest. With daytime figures approaching double figures midges have hatched so the occasional black buzzer has tempted trout-especially at the downwind pegs.Casting into the eye of the wind has been a distinct advantage at times though actual takes were within 3 or 4 metres of the bank. Pulled "dancer" lures or leggy bloodworms were very effective at times-as were the latter, or blobs under indicators. Enjoy these conditions until the next big freeze arrives! Plenty of wind and just a touch of water too! Fortunately the rain and breeze that greeted us from mid-week onwards was comparatively mild-especially at the weekend so the fish were to be seen a little higher in the water than of late.They were keen to feed on swiftly pulled worms and lures at the downwind pegs and temperatures were mild enough for black midge to hatch. Lightly weighted pupae with white or orange cheeks did the trick- on floaters and leaders that weren't too long! Given another cold snap anglers need to slow things right down and possibly head back to the calm water at the top of the wind-where fish can often be tempted from the top with tiny emergers and f's. Welcome relief from the recent cold arrived at the end of the week when midge could again be seen dancing in still,warm spots. Pupal patterns did their stuff-provided they were black! Otherwise the bloodworm imitations of old have continued to do their stuff-with pinkies and blood red rubber legs the pick of the bunch. Lures in black or white took trout reliably too-occasionally an intermediate or slow sinker was required though,and a dead slow retrieve.The Doxford lake has fished the best,its greater depth and volume ensuring a greater comfort zone for the fish when temperatures elsewhere can be sub-zero. Results of Fritz and Fly Series Qualifier. First Paul Fenny from Hartlepool with 10 fish. Second James Stephenson from Middlesbrough with 9 fish. 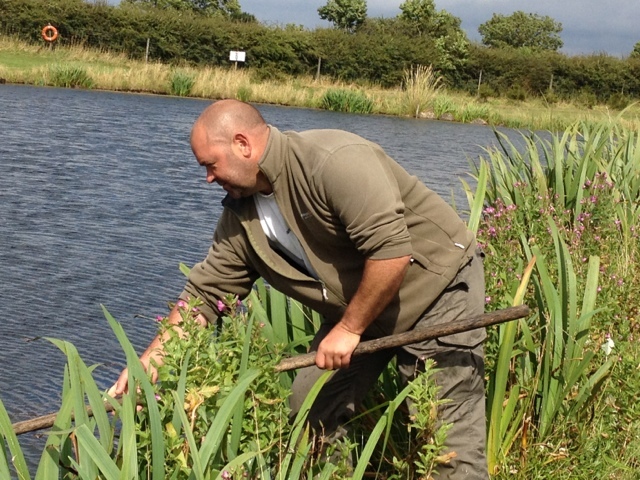 Third Glen Appleby from Peter-lee with 8 fish. We are open everyday over the Xmas holidays. Come on Xmas Day and fish on a complementary Sporting Ticket. Everyone welcome. 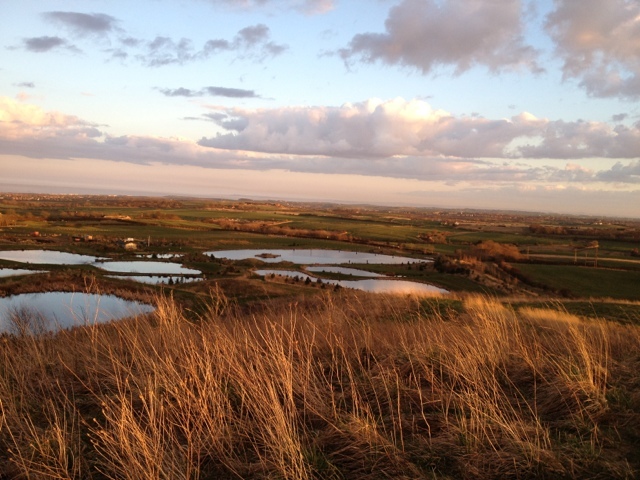 Despite the freezing temperatures Sharpley again proved why its maritime influences make it a popular angling venue by remaining ice-free,at least on the largest, Doxford lake. This lake fished well and gave up good bags to anglers prepared to react to the conditions and fish a little deeper-and dead slowly!Bloodwormy imitations were again first-choicers,though slowly twitched white or grey lures with plenty of natural movement proved their worth too. Given warmer temperatures next week anglers would do well to head to the "difficult" bottom-of-the-wind pegs where the warmer water congregates.Pinkies and biggish black buzzer pupae swung around on the breeze have got to be worth a cast. The mid-week temperature drop meant that most surface activity was concentrated around the midday period as midges hatched.Indeed,even the coldest of winter days will see hatches of some description so there is no need to pull worms or lures all day.Given surface feeding/hare's ear emergers or tiny black Waddams should secure a trout or two throughout. Black nymphs were scoring well prior to the cold snap,but as soon as the taking speed slowed,pinkies and other bloodworm imitations proved victorious-with white or black lures pipping the summery olives. Labels: The Cuthbert Lake. Catch and Release only.